To help others buy and sell real estate. I will use my hardwork and dedication to make dreams come true. I enjoy spending time with my husband Jeremy & our children Bryce & Hailey! My family is extremely important to me! I also enjoy the outdoors, walking, traveling, camping, 4 wheeling, fishing, biking, and spending time with family and friends. *I can help you buy or sell residential, new construction, vacant land, farms/farmettes, and waterfront properties. 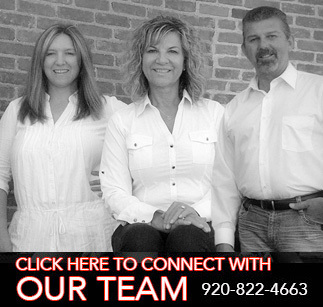 Servicing the counties of Brown, Oconto, & Shawano! Call me today! Let’s make YOUR dreams come true! Need a market analysis? I do them FREE!